Having worked for many years as a judge in Austria, Georg Stawa chaired the European Commission for the Efficiency of Justice of the Council of Europe (CEPEJ) from 2014 to 2018, whose experts study the quality of work of representatives of the judicial system in different countries. In particular, in Ukraine. He is currently the head of the Department of Strategic Planning at the Austrian Ministry of Justice and an international expert of the EU Project "PRAVO-Justice". Therefore, we talked about the Ukrainian experience of judicial reform, comparing it with the experience of the European Union countries. 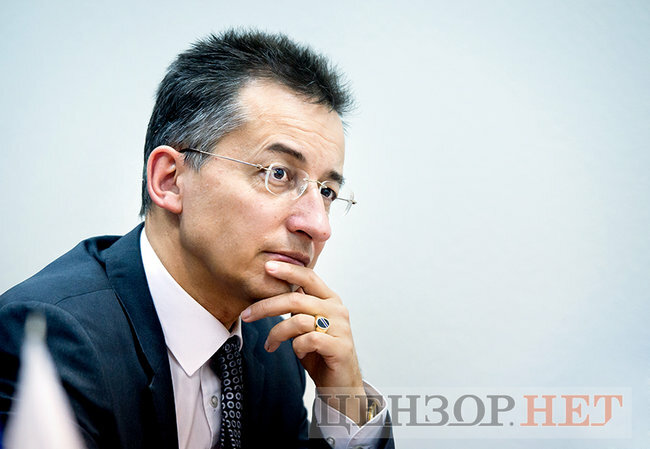 In an interview with Censor.net, Georg Stawa told about why he considers Ukrainian judges selection system to be unique, how courts are funded in Ukraine and in Europe, and when one should expect the results of the reform. - When assessing the procedure for selecting judges in Ukraine, you indicated that it was transparent, though very complicated. How can it be improved? The complexity and comprehensive nature of the procedure is not always a drawback. Given that in Ukraine, when the reform started, the level of public confidence in the judiciary was close to zero, it was necessary to press this "reboot" button. Of course, when we talk about the selection of judges, we always imagine an immaculate candidate, almost a saint, who stands one foot on the ground and the other in the skies. But what was done within the framework of this new procedure for the country? Firstly, we have studied the best practices of European countries and brought them to the process of selection and evaluation of judges in Ukraine. First of all, it is about introducing certain objective criteria, such as checking the legal knowledge, theoretical knowledge, verification of practical skills, that is, the ability to draft a court decision. Currently, the procedure also includes psychological testing and interview with the candidate. Secondly, the involvement of civil society is an interesting and extremely important component. This is a unique experience, not only for Ukraine but also for European countries.